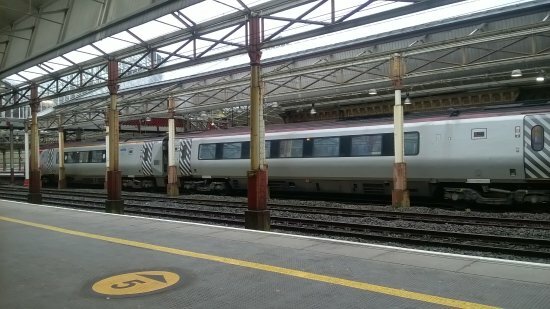 Crewe /kruː/ is a railway town and civil parish within the borough of Cheshire East and the ceremonial county of Cheshire, England. The area has a population of 84,863. Crewe is perhaps best known as a large railway junction and home to Crewe Works, for many years a major railway engineering facility for manufacturing and overhauling locomotives, but now much reduced in size. From 1946 until 2002 it was also the home of Rolls-Royce motor car production. The Pyms Lane factory on the west of the town now produces Bentley motor cars exclusively. Crewe is 158 miles north of London and 35 miles south of Manchester.